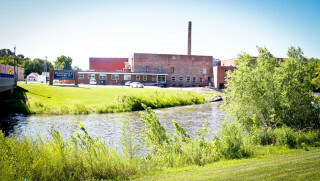 The Faribault Woolen Mill hugs the Cannon River in Faribault, Minnesota, 50 miles south of Minneapolis. A small dam foams alongside the building, whose walls boast a hodgepodge of vivid and faded red brick. 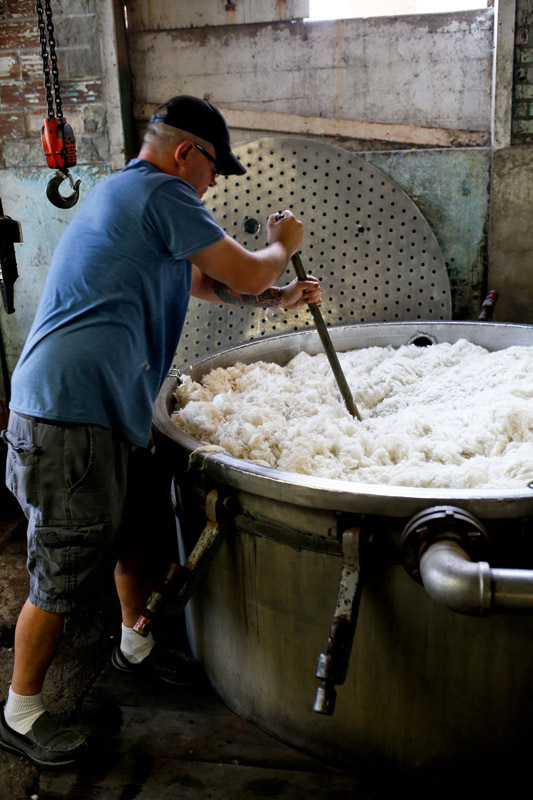 Inside, the looms, pickers, and carting machines beat a persistent rhythm. 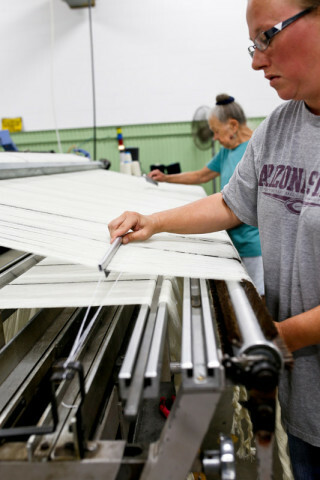 Faribault Woolen Mill celebrated its 150th anniversary on August 15, 2015, but that longevity isn’t immediately obvious inside the mill’s retail store. Ray Lamontagne and Iron & Wine ballads drift over neatly folded blankets displayed on white shelves and husky wood tables. Exposed trusses, wood floors, and neutral-colored scarves, pillows, and throws give off a sleek North Woods lodge vibe. 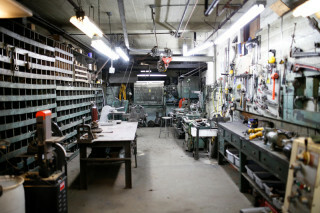 If not for the sound of the machinery, some of which has been here since the turn of the 20th century, one might think this is just another warehouse-turned-boutique. 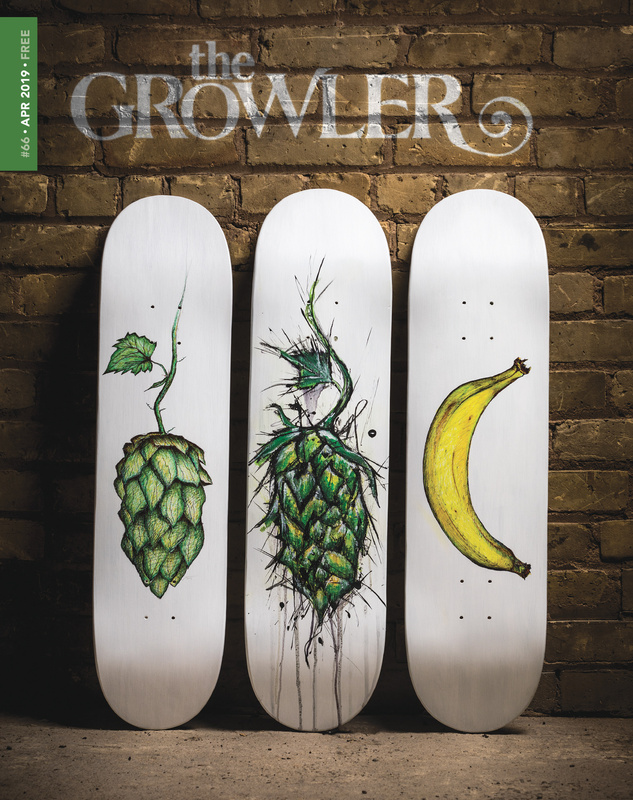 The mill’s heritage stretches back to a time when seed stores in southern Minnesota still printed their catalogues in German. 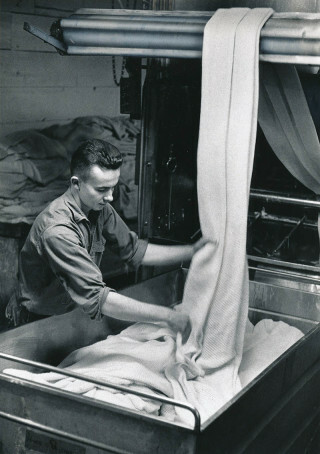 Carl H. Klemer, a German immigrant, founded Faribault Woolen Mill in 1865. 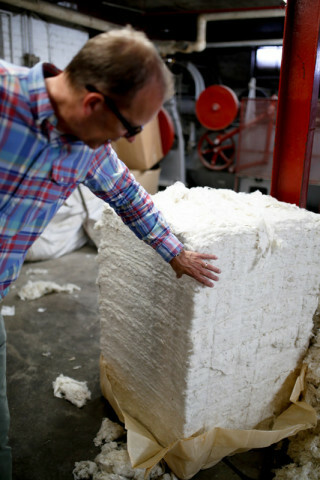 Klemer’s one horse-powered mill got its start turning local wool into batting for insulation and bedding. 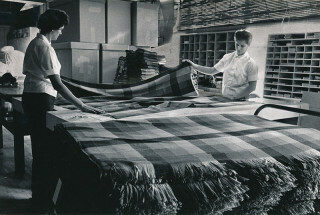 In 1872, the mill began producing blankets from wool as well as cotton. 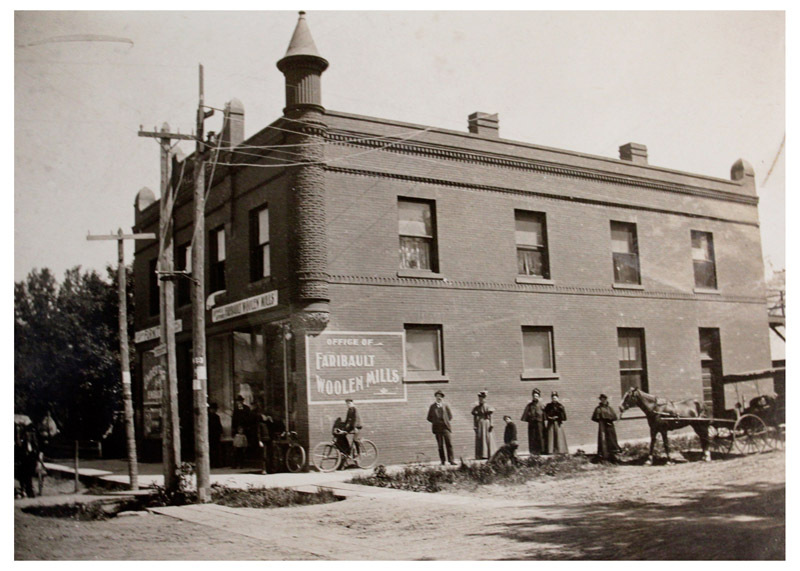 After a few decades of steady growth, the Klemers built a new mill in 1892, where the current one stands. Under the weight of economic depression and the looming war, other mills around the country rapidly dissolved in the early 1900s. 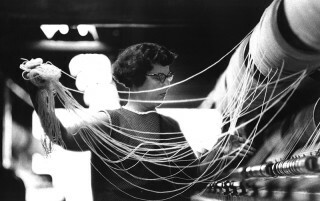 Klemer stubbornly stayed on, though, determined to find a way to supply local jobs. His solution: making blankets for the United States Navy. The partnership remains strong to this day. 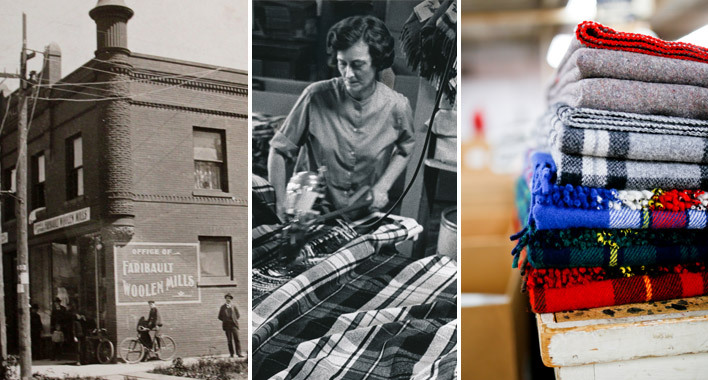 While cranking out hundreds of thousands of blankets during the World Wars, the mill steadily expanded in the retail world, too. 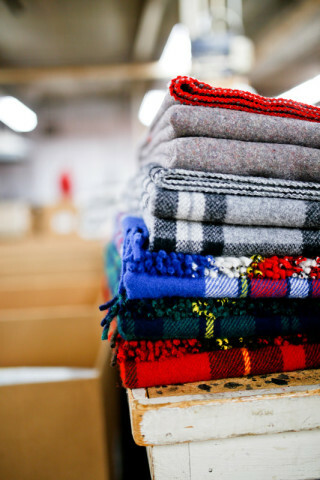 By 1937, Faribault blankets could be found in most major department stores. 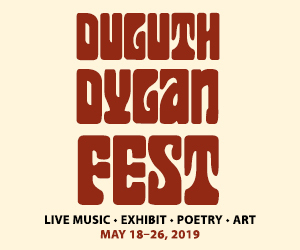 The 1960s and ’70s brought in myriad new designs and fruitful partnerships, including Pan Am Airways, Northeastern Airlines, and Pullman Railroads, all of which provided passengers with Faribault blankets to use during trips. After owning the mill for five generations, the Klemer family sold Faribault Woolen Mill in the early 2000s to an investment company that attempted to compete with Asia by blending wool with acrylic to cut costs. The change came at a price, however. 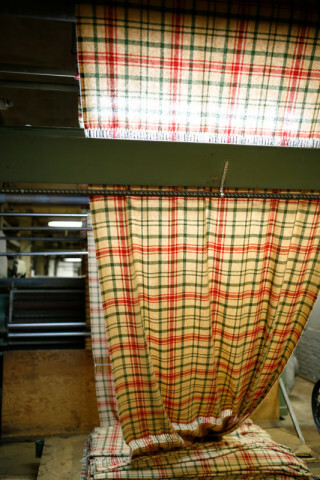 Shoppers and retailers weren’t interested in the lower-quality blankets, and the mill went out of business in 2009. It stayed closed for 18 months. Plans to bulldoze were in place. The basement was flooded. The roof leaked. 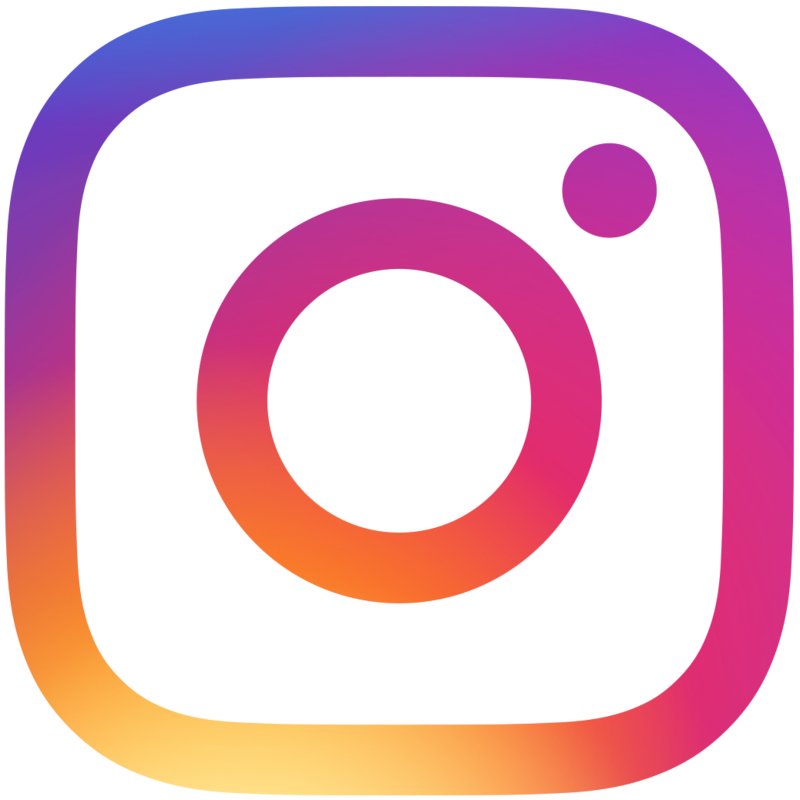 Dennis Melchert, a mill employee for over 40 years and current vice president of research and product development, was hired by a liquidating company to explain the mill’s assets. Like a lone ghostly caretaker, Dennis visited the mill every day during the 18 months it was closed, turning everything on and making sure the bearings didn’t seize up. Everything from the machinery to the shelving was tagged and set to be shipped to Pakistan—until cousins Chuck and Paul Mooty came to the rescue in 2011. Chuck, former president and CEO of International Dairy Queen, saw Dennis’ passion and took it as a sign: The mill, he believed, could be revived. 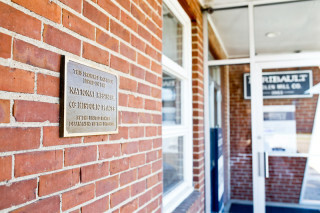 The key was rededicating themselves to only making the highest quality woolen products. 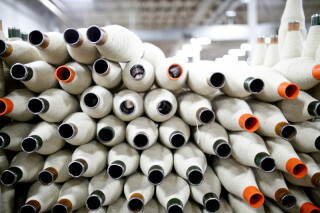 Faribault Woolen Mill receives 90 percent of their wool from the United States—Oregon, Montana, Wyoming, Texas, California—and 10 percent from Australia and New Zealand. The wool arrives pre-washed in square bales. From there, the transformation begins. Descending rickety, winding stairs into the mill’s basement, a pungent barnyard odor grows stronger. “What am I smelling?” I ask Bruce as we reach the base of the stairs. “Wet animals,” he says, pointing to a bin of just-washed wool. needled spools that soften and prepare the wool for dyeing and carding. 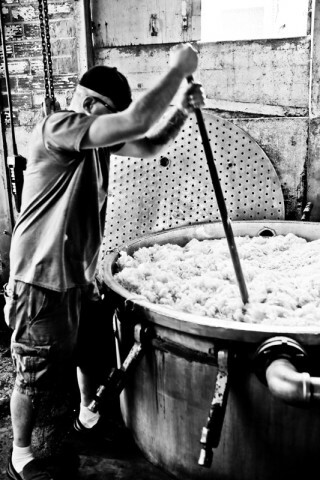 Wool destined for color gets stock-dyed in giant kettles. 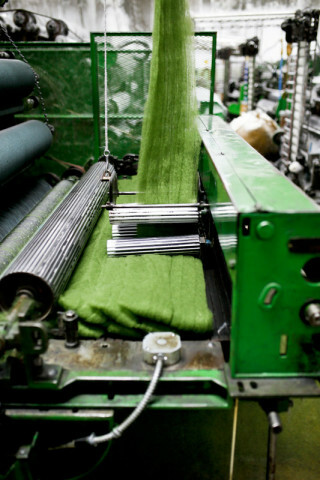 After sitting in the dye for a few hours, the wool is lifted out by cranes, spun in a centrifuge, hung to drip dry, and transferred to a heat dryer—a massive army-green, oven-like contraption with a slow cranking conveyor belt at its base. After drying, the material is dusted and weighed on rusty, black, industrial in-floor scales. Next, the wool gets transferred to a large, stuffy room crowded and lined with heavy machinery clustered in little departments. 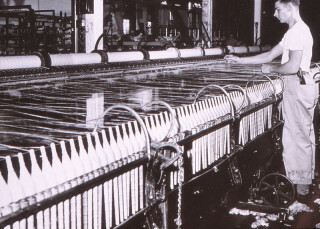 Two or three workers command each machine. Some wear headphones; others talk or communicate via hand gestures over the loud rev and chatter. 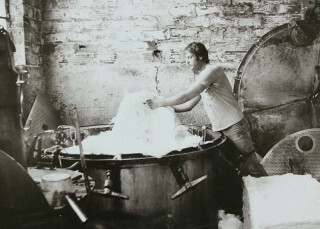 Carding, which aligns the fibers of the wool, comes next. Bruce calls the carding machines “glorified fluffers.” After carding comes the spinner, which takes bales of wool and feeds them into a series of cones to make string. Bruce hands me a piece, which tears as easily as cotton candy. 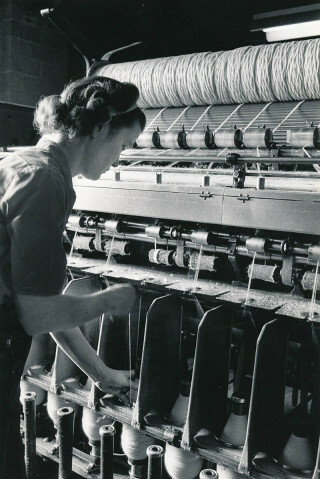 To strengthen the wool, the string is spun again and run through a series of quality checks. 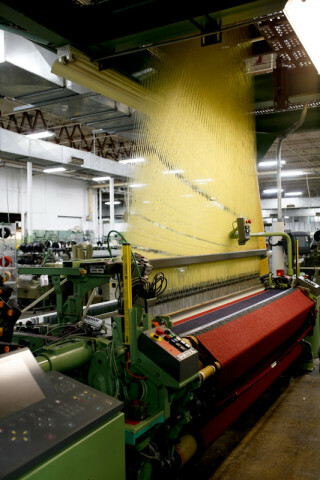 Once it has reached its ideal strength, the string is loaded by color—yellow, blue, gray, white—into dozens of wheeled storage bins destined for the looms. 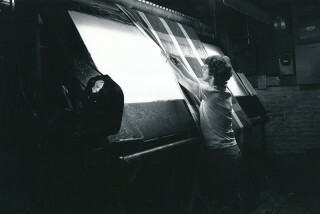 The yarn used for Faribault’s popular map throws, featuring outlines of Minneapolis–Saint Paul and New York City, is sent to the jacquard—a massive, computer-controlled machine with a complex series of hooks and harnesses. 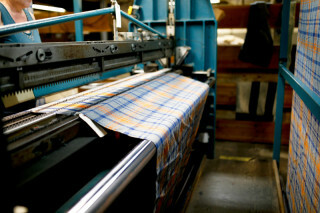 For pieces patterned with basic stripes, plaids, and solids, dobby looms are used. Once loomed, blankets and throws are loaded onto pallets and moved to a quieter wing, just around the corner. 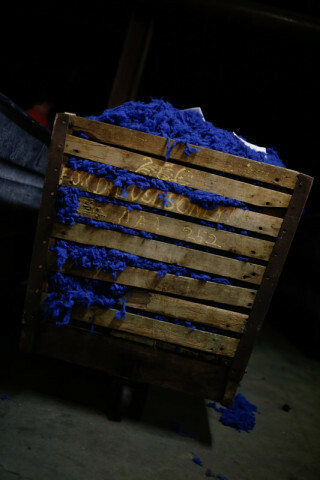 To obtain the luxuriant plushness for which Faribault products are known, each item is burled (snipped and tweezed), fringed, fulled (pleated), washed again, dried again, run through a foot-pump napper, and, finally, lifted up an elevator by large bolts into a sprawling room with buckling wood floors, where they are cut and edged. Once they’ve been surged, fringed, felted, hemmed or lino-edged, there are just three things left to do: label, fold, and package. Woolrich and Pendleton are the closest things Faribault has to direct competitors. 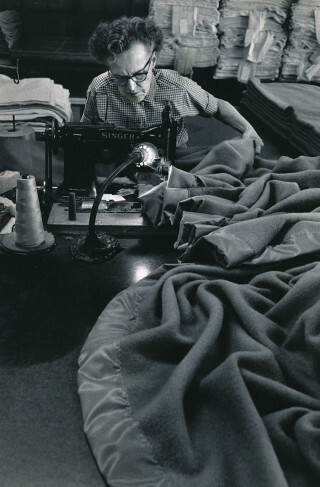 But where those brands lend their names to other licensed products, such as clothing, Faribault stays true to the things on which it has always built its reputation: blankets, throws, and scarves. 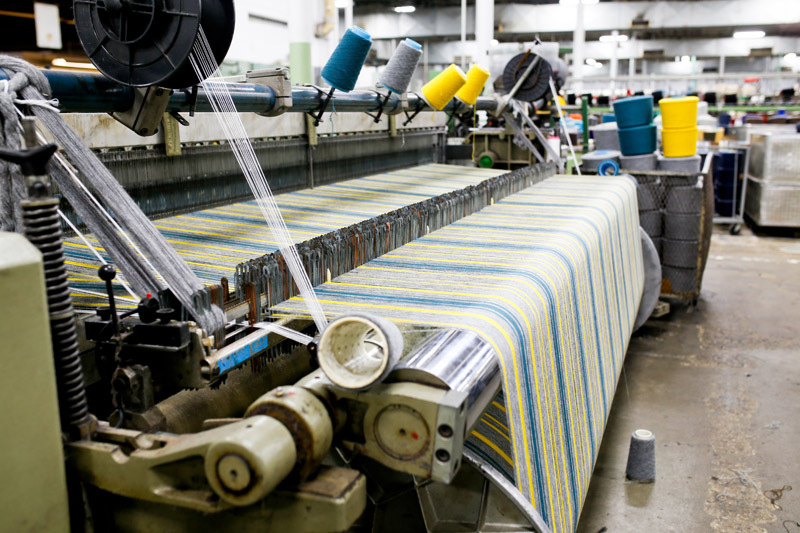 Last year, their blanket and throw production numbers were in the hundreds of thousands; they just introduced a line of 112 new products, the mill’s biggest introduction yet. 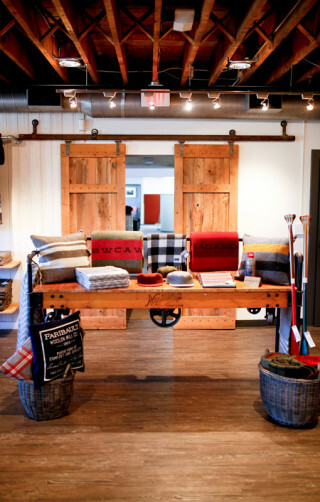 Even as they grow, Faribault Woolen Mill continues to make products that evoke the days of yore in a fresh and thoughtful way. 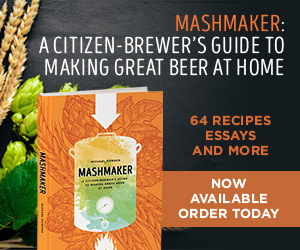 They make products that last—products to hold onto and pass down to kids and grandkids. 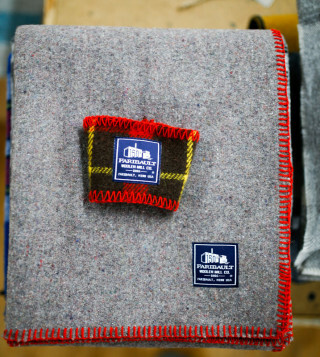 Whether it’s a recycled-wool Navy blanket or a plush Merino wool scarf, this Minnesota mill has set the bar for woolen products for 150 years—and it doesn’t appear to be slowing down anytime soon.